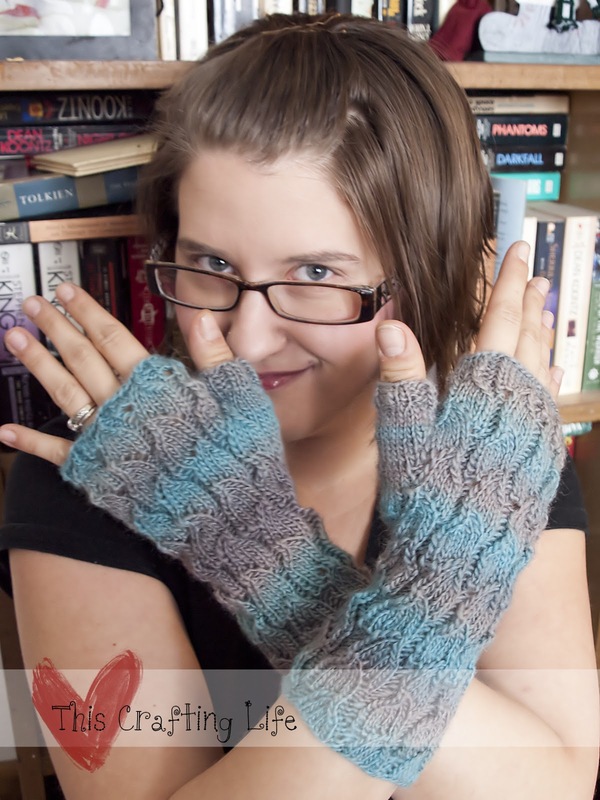 My Pattern Experience: Fallberry Mitts! These mitts were amazing! I had picked up this yarn (and darn it if I wrote down the info or saved the tag...) at Stitches Midwest 2012. I know that it's a Merino blend, but I can't for the life of me remember the color or brand! It's truly gorgeous though, soft and really easy to work with. I picked the pattern because I was hoping that the pattern would work up striped appropriately with the colorway of the yarn. While it wasn't perfect, it does really highlight the little leaves in the pattern. I loved working this pattern. It was one of the few mitt patterns that I've been able to complete both mitts in a reasonable time period. I don't remember, but I don't think I worked them at the same time either, and the pattern was so easy, that they both came out perfect. I may even have enough yarn to work another pair for myself! !